Event Hire is fun and exciting, but bloody hard work, we know because we have been around a long time providing products and services to so many events we couldn’t count them all if we tried! We have depots in Auckland, Tauranga, Taupo and soon we will be moving south so we can help other areas with our cost-effective products and services. We cater for many aspects of an event like, Temporary Fencing (security or people movements), traffic control management, tmp design and management, vms boards, picnic tables, bouncy castles, letter drops, event management advice and support and so much more… so drop us a line and lets have a chat. Our promise to you, we bend over backwards to ensure you are delighted with our professional and courteous 24/7 service. But don’t believe us, read over some of our testimonials. Temporary fencing to meet all your construction & event hire needs, you name it we do it! Ideal for advising motorists of upcoming works or delays, or for the promotion of your event or sale. We have a full range of all Level 1 signs, poles and bases in stock. We have a wide variety of trailers to choose from, for transporting anything you can think of! We have a growing toolshed full of handy tools available to hire, just ask and we probably have it! Advertising trailers are a perfect portable billboard solution, for a campaign, event, promotion or product launch. We have large numbers of tables, chairs and umbrellas available, perfect to relax in at your next event or party. Nets and ropes have so many uses, especially for events. Awesome inflatable obstacles for all your events, parties and or race requirements. Make a statement at your next event with a bouncy castle, we have a great range! We have a large variety of event gear that you can use for your event or race! Need power for your event? We have you covered with a variety of power solutions! "Event Hire NZ has provided hire services to the Supercars ITM Auckland SuperSprint event in Pukekohe for the past 2 years. The service we received has been prompt, efficient, reliable and friendly, and the equipment provided is of a high standard and quality. I would recommend Event Hire NZ to any NZ event industry professionals needing hire equipment for their events." "Troy Campbell is without question one of the leading event professionals in the business. Event Hire NZ is a one stop shop that will give you what you want, when you need it at a price that you can afford. Troy will provide the service that you will not get elsewhere. He is as good as they come." "RSEA Safety NZ use Event Hire for multiple events and other projects around the North Island. The service is very professional and the equipment is always of a high standard, we highly recommend Event Hire to other businesses nationwide." 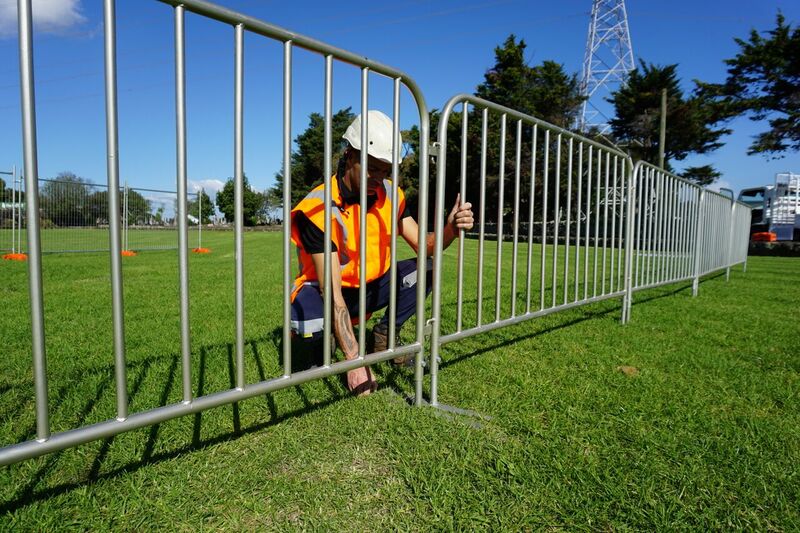 "Event Hire NZ recently installed over 1km of fencing for our event. Due to the nature of our event, and it's unique locations (on and around the Auckand Harbour Bridge and Northern Busway) the crew had very tight timelines to work with pre and post event. The friendly team met these timelines with ease and had no problems rejigging their plans when we threw some last minute site layout changes at them. Troy, Rory and your crew - thanks so much for helping us safely stage another successful event." Luke Garea Operations Manager Mercury Bike The Bridge.